Literacy is the basic building block of education – it gives students access to knowledge and the ability to communicate with the world. It is the gateway to all other skills. Literacy allows young people to pursue higher education and get good jobs, and to become full participants in our democracy. school conditions that promote readiness for learning. 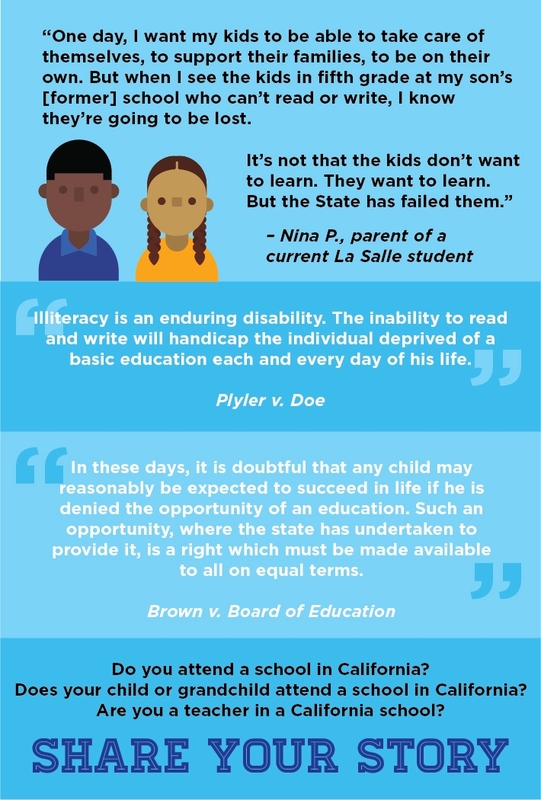 This case is the California counterpart to Gary B. v. Snyder, which is the first federal case seeking to vindicate the right of all students of access to literacy under the U.S. Constitution. Learn more about the Gary B. case. Contact us to tell us your story.